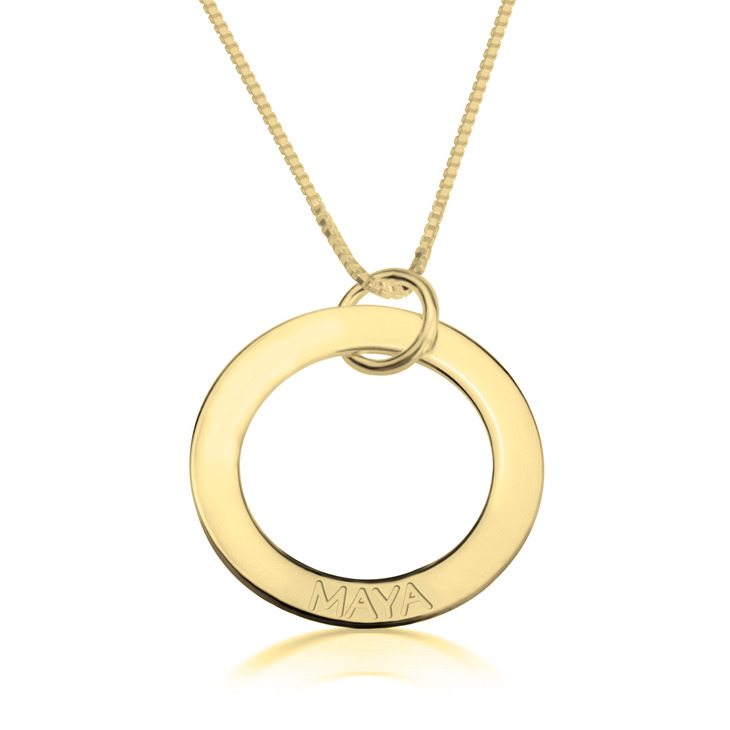 Are you a mother and happen to be looking for a great necklace to pay tribute to your kids? Or perhaps you are looking for a special gift item to offer on mother’s day? 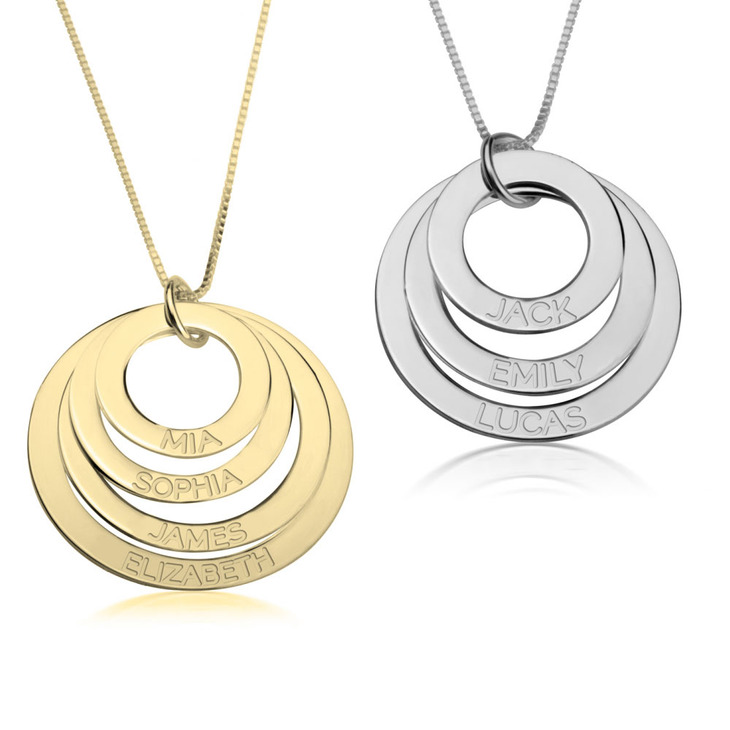 Well there is no better way to achieve this than getting the sterling silver three rings with names necklace. 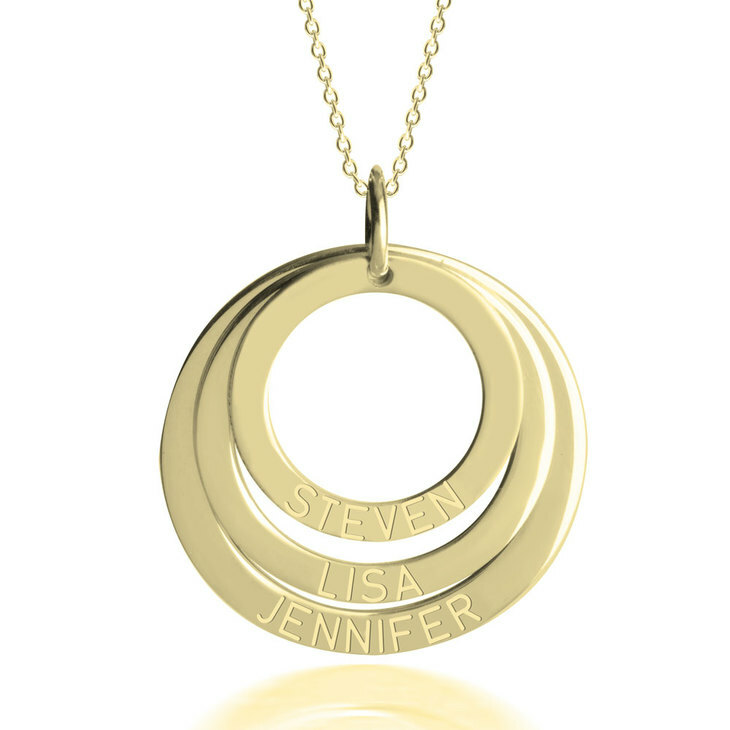 This elegantly crafted chocker pendant is designed with three round rings, each engraved with a name. 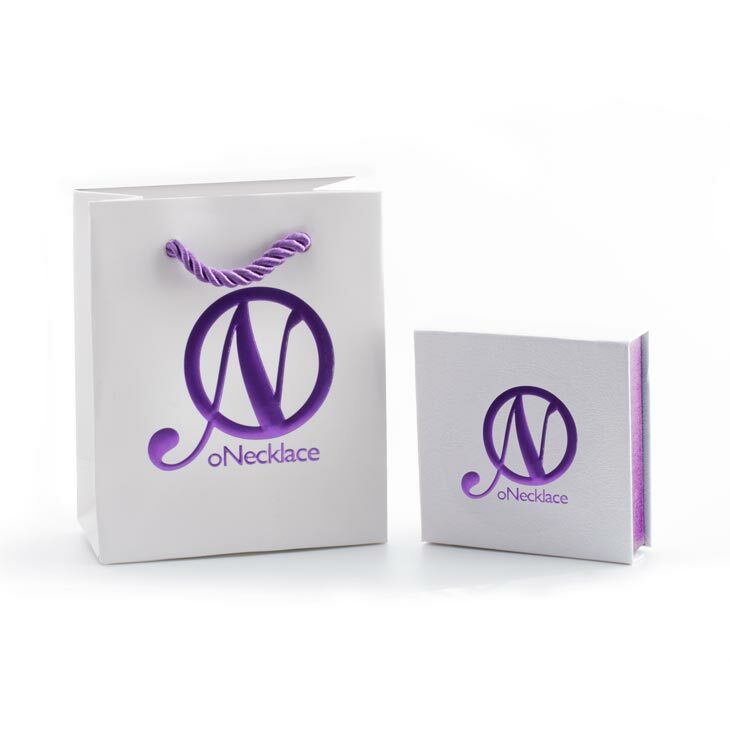 Other than the sentimental value that this necklace design holds, it also has an exquisite appeal that will adorn any glamorous outfit. 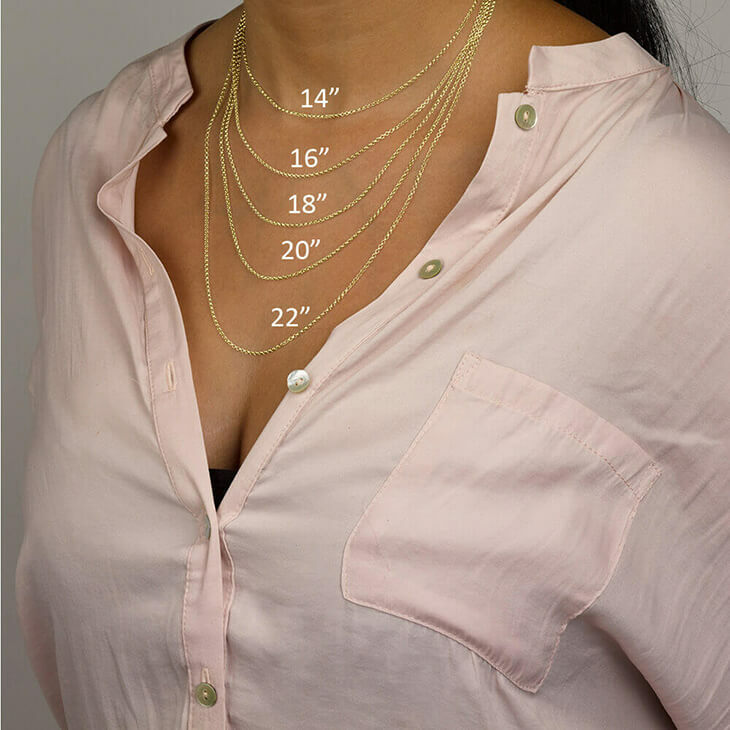 Since this necklace can be ordered in different chain dimensions, it offers you the option of choosing the right chain length for your neck size. It arrived better then I thought it would. The necklace it’s stunning. 18inch neck I would definitely recommend. The reason for 4 and not 5 stars it the packaging it arrived in cases the certificate and gift box to become creased, I had to purchase another gift bag. 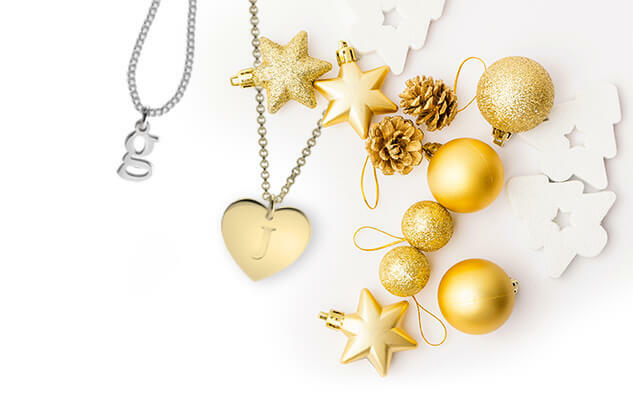 Le collier gravé de 3 noms est de belle qualité. J'avais indiqué l'ordre des noms qui a été respecté. Je conseille ce très beau produit offert comme cadeau ! My wife loved the necklace! Good quality, and she got what I ordered her. The packaging was also impressive. The necklace chain did not turn her neck green, as some others had. Only drawback is that the necklace chain had balled itself up during shipping and handling, and this took me a little while to unravel. All in all, though, a great product... I would definitely buy again! Really lovely, much better than I thought it might be. The necklace came as I expected it and I love wearing it. The pendant and necklace were a great hit. thanks so much for the craftsmanship and communication. Exactly as advertised. My wife loved it. 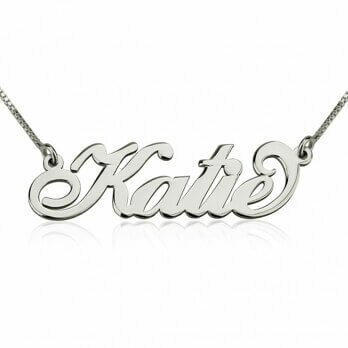 Order came quickly and just as shown in picture.nice silver necklace for grandma.would recommend.nice price point. won't know how nice until my daughter in law gets it! Poor quality - broke after one day. Very disappointed. Won't be ordering ever again. I'm very sorry to hear about this quality issue with your necklace. It's of the utmost importance to me to ensure you'll be 100% satisfied with your item, and I've just been in touch about possibly replacing this for a new necklace or reimbursing for the amount you paid right away. I look forward to resolving this as soon as possible, and I apologize for any inconvenience caused. Birthday gift for my wife - She loved it! Her comment to me (after the kids dispersed) was this: "so often, these mom gifts are so overblown. 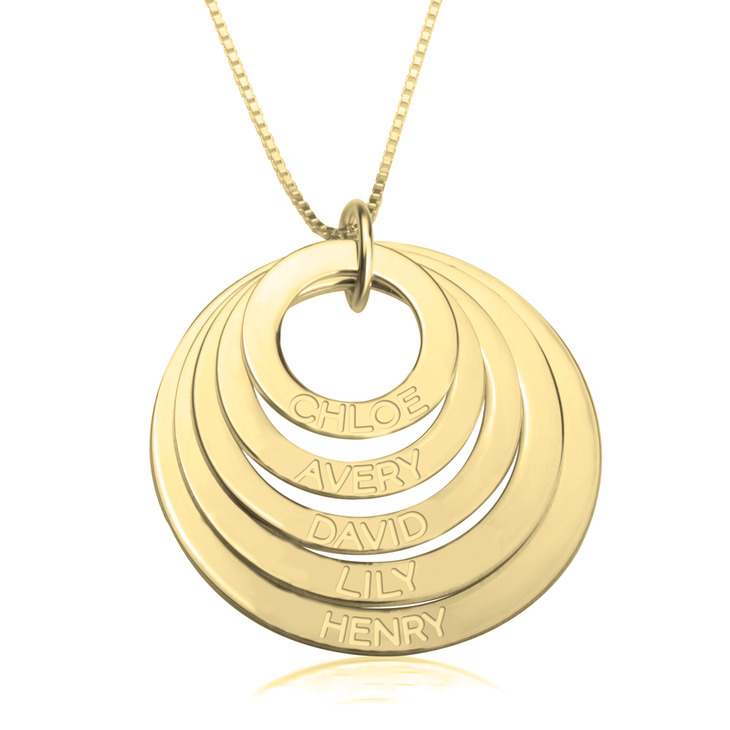 This is a necklace I'd wear anytime, and the kids names are there but subtle." I did good. Purchase and delivery were flawless. Did not receive my order and sent an email. You sent out a replacement immediately. That means a lot to me since the order was a gift for my sisters helping me deliver my baby. Thank you for being great. My daughter-in laws(4) were very surpeised and delighted with their necklaces. They were exactly as advertised. necklace looks great and my wife loved it. It was exactly as advertised. It arrived earlier than they said too! The necklace is looking very good, I love the work on it This time there were issues and I had to send several e-mails to find out about my order. The explanation was thet you "don't have my address" or my "e-mail", which is very weird because when you order an item, you have to post your address; am I right? I don't know if I want to order anymore with you, because, frankly, I toght I lost the money and the order. In the end, after sending again my address, I got the necklace. Why would you wait for me to ask about the order, when you had all the information? These are issues which should be fixed! The necklace I ordered fell apart after one wear and some of the engraved letters had some kind of stains on the letters! I will definitely not order from your company again and also warn my friends and family about the quality of your product. product was what I expected. Lady loved it. Great work and service. Everyone comments on how beautiful my necklace is and how unique it is! It is super durable and my boys play with it all the time. I love this necklace. Love my necklace perfect size and shape!! 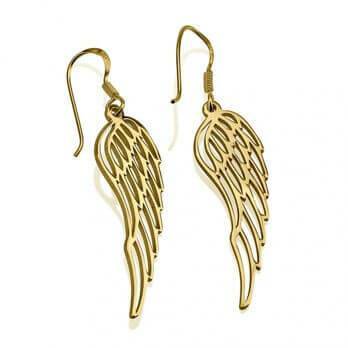 A lovely product, seems to be of a good quality however it was bought as a Christmas present so is yet to be worn. 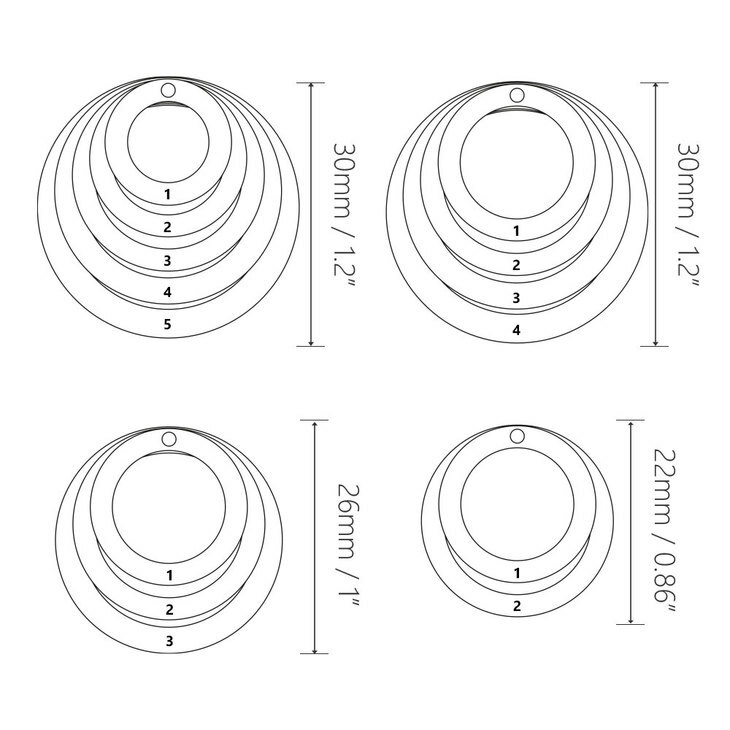 Could do with a clasp/ring of some sort to stop the name rings from spinning around however this may just be the style of the necklace. 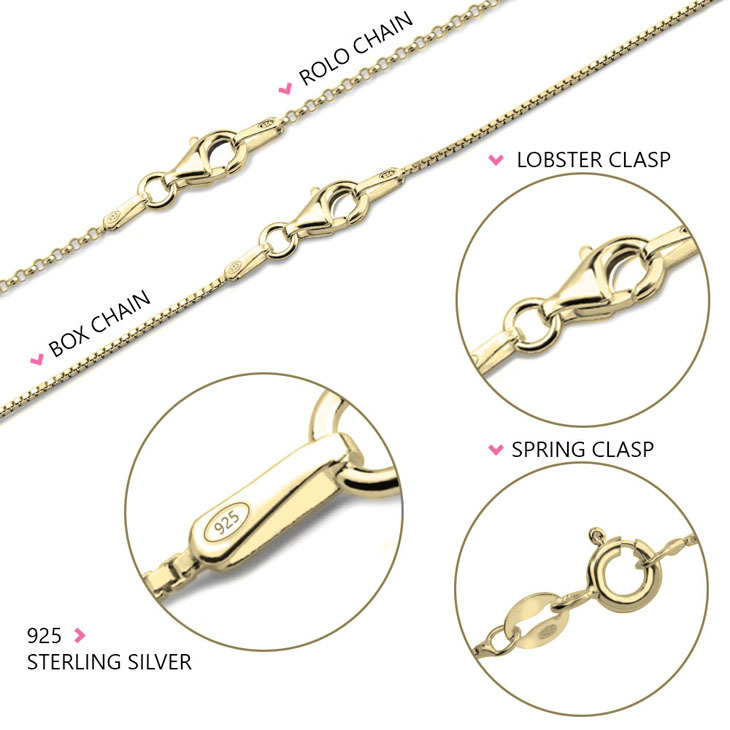 The engraving is clear and the three rings are a lovely size, the chain also seems to be strong and a good length. The delivery did take some time. I bought this for my mother's bday and she love it. It's so elegant and gorgeous. Thanks to onecklae team for this perfect present. 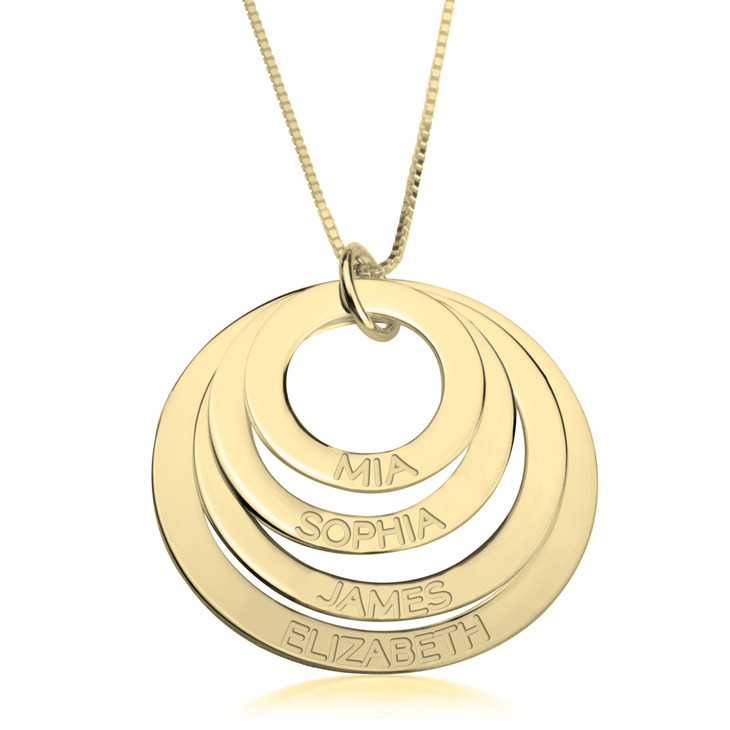 I bought this necklace for my daughters birthday with her children's names on and she was absolutely thrilled with it. It was amazing. I wouldn't hesitate buying future things off you guys, the service was also outstanding. 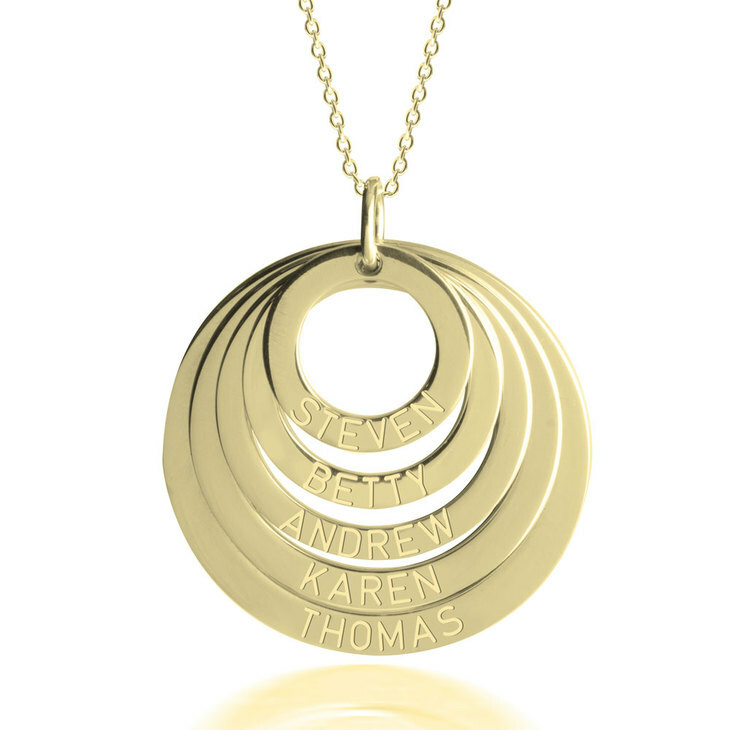 This is a beautiful necklace.On each ring it features the names of my grandchildren.I am sure their mother will be delighted with her Christmas gift. Service was excellent,delivery timely,packaging lovely and follow up very professional.I will be a repeat customer. My 2 year old loves her necklace, she begs to wear it every day. The necklace came in as described and really nice quality! Fine work, Fast delivery, Good packing. I highly recommend.